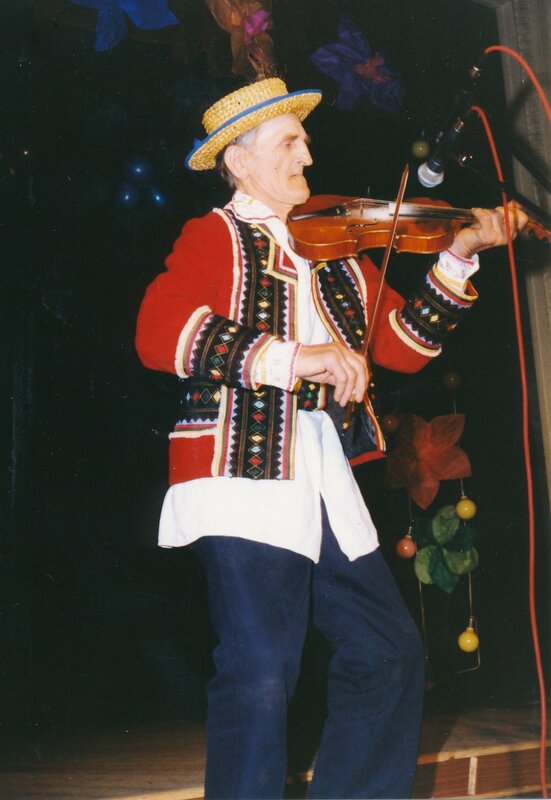 Stanisław Głaz, a fiddler, was born into a very musical family in 1933 in Dzwola (a village in JanówLubelskiMunicipality, Lublin Voivodeship). His mother (née Małek) was a famous folk singer in the area who was often asked to be a maid of honour at rural weddings. His grandfather and father played the violin and had their own band before the war. Stanisław Głaz learned to play the fiddle during World War II. He was taught by his father, who used to remind his son: "(...) Pull the bow across the strings steadily, do not peck at them, melodies should be carried by drawing the bow upward, you have to be careful, because the fiddle easily loses its voice." After the war, Głaz founded his own band, featuring such musicians as Głaz from Momoty Dolne, the clarinettist Małek from Flisy, and the drummer Jan Świś from Dzwola. They were invited to weddings, village parties, piórzaczki and obiraczki (rural Advent celebrations, when women, accompanied by local bands and residents, sing whilst plucking geese), as well as to sing carols. Stanisław Głaz has played in the band for about forty years. At the same time, he mainly worked on a farm, but also as a carpenter, a bricklayer, and even a cobbler. Among the most interesting and culturally significant components of Stanisław Głaz’ repertoire are the traditional polkas, obereks, waltzes, and especially melodies known in his neighbourhood as podróżniaki (a slower version of the oberek played while travelling). Another locally recognized form of music was the so-called Garnitur, a particular kind of dance set consisting of a polka, waltz and oberek, which are original folk tunes from the region of Biłgoraj and Lublin. In the following years, when other musical tastes began to dominate at rural social gatherings, Stanisław Głaz played less and less. In 1989, Alina Dudzic talked him into giving performances on regional and national stages and at folk festivals. His comeback turned out to be extremely successful, for the violinist from Dzwola gained recognition from connoisseurs of folk music at the National Festival of Folk Bands and Singers in Kazimierz. 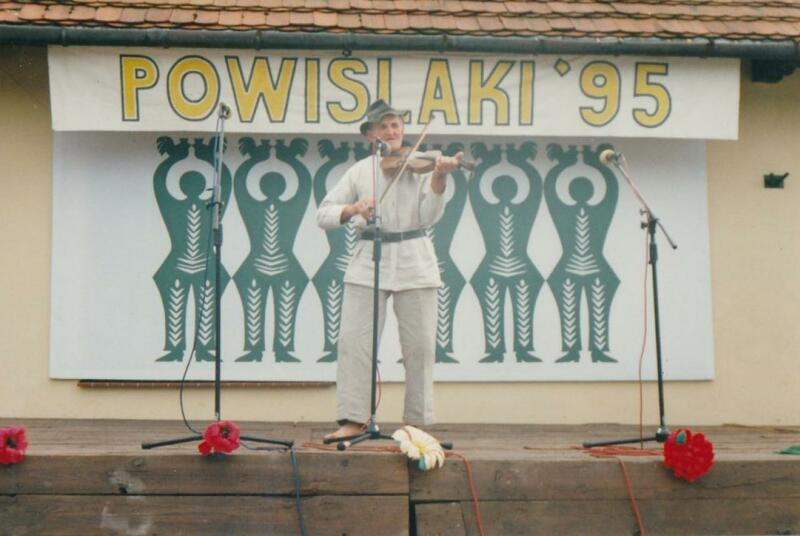 In 1996, he received first prize at the Competition of Folk Violinists in Nowa Sarzyna, and in 1997, he won a Baszta Award at National Festival of Folk Bands and Singers in Kazimierz. Additionally, Głaz received awards at the Powiślaki festival in Maciejowice and other provincial festivals.